And [hook-nosed] moneybags are held by the populist-progressives to control all information in the society, with the exception of underground messaging and alternative media. The internet has only facilitated such carelessness and populists can be found on both the right and the left of the political spectrum. I have found them to be haters and uninterested in the histories they claim to depict with accuracy, deluded into the belief that they are correcting the “propaganda” generated by serious students of the past. There is money in it, as the book sales figures or viewers of some “traditionalist” conservative stars can attest. This blog seeks to correct a common misconception I have found in the ranks of some who deem themselves conservatives: that Rousseau* generated the Jacobins, and that a straight line can be drawn between the furious mob behavior in the Reign of Terror and the Democratic or even moderate Republican (“RINO”) opposition. And the enemy is “secularism, ” redefined to signify atheism, a.k.a., worship of the Goddess of Reason, rather than religious pluralism and the separation of church and state. As everything on this website will attest, populism and progressivism did not spring, fully-formed, from the industrial working class, or small farmers, or any other sector of the population de-skilled or otherwise harmed by the industrial revolution and the concentration of ownership in corporations. Rather, its ideology was largely cooked up by those European intellectuals who identified with a threatened aristocracy, and who wrote copiously in order to persuade a frivolous and conspicuously consuming class of lords and ladies, princes and kings, that they had better unite with The People against the “laissez-faire” industrial bourgeoisie that was the chief cause of lower-class suffering with the advent of science, the machine age, utilitarianism, railroads, the Higher Criticism of the Bible, and of course, Darwinism. With a renewed devotion to “religion” (now seen as instrument of social control for all classes) the aristocracy would mend its ways, reverting to the gentle paternalism that was believed to have existed in the Middle Ages, and the new education-hungry working-class would settle for those reforms that did not threaten the social order as it had existed before mad scientists and engineers made the scene. The lower orders would be treated to lots and lots of spectacles and costume parties. Benjamin Disraeli, a prolific author before he entered the British parliament, later to become Prime Minister and the Earl of Beaconsfield, wrote novels all his life, but the group of novels relevant to this posting was published in the mid-1840s, and meant to introduce “The New Generation” that would represent “Young England.” Coningsby, Sybil, or the Two Nations, and Tancred, or the New Crusade,** were a trilogy intended to instruct Europe as to the chaos that was to be generated by the new industrial poor, whether they be slaves to the machine or miners–unless they were rescued by an enlightened and progressive aristocracy. Sybil, in particular, sounded the tocsin, and appeared the same year, 1845, as did Engels’ famous book on the condition of the working class in Manchester. Disraeli’s father, Isaac D’Israeli, never renounced Judaism, but did baptize all his children into the Church of England, home of the Elizabethan Compromise. What Disraeli accomplished was to provide the moderate conservative alternative to the red specter that was haunting Europe. The Good King would represent the People against all forces of dissolution, and all would be self-sacrificing as their model, Jesus Christ, had been. Without faith, there could be no sense of duty, and everyone was bound by duty and those rights that kept the peasantry prosperous, and the male working class not exhausted or forced to compete with female and child labor. Disraeli was hardly alone in his prescriptions for a measured progress, with his religious model apostolic Christianity and the “reverence” it embodied. 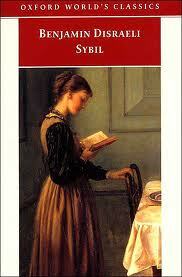 He was writing in the tradition of Hume and Burke, of the German Romantics (including Herder and Goethe). His contemporaries, such as hero-worshipping Carlyle and the Christian Socialists, and later Bismarck, would echo the same tradition of conservative reform, staving off excess of every kind, whether it be upper-class selfishness (“individualism” or “puritanism”) or lower-class licentiousness and excessive interest in the heroism of some Old Testament figures (see Kingsley’s Alton Locke, a founding document of Christian Socialism, puported to be the confession of an ex-Chartist, now dying of consumption). *See image from Columbia Today (Alumni Magazine responding to 1968 student strike): https://clarespark.com/2010/07/04/rousseau-amidst-primitive-columbia-student-strikers/. ** See cartoon and description of Tancred in Arab News: http://www.arabnewsblog.net/2011/05/11/tabsir-redux-tancred-or-the-new-crusade/. The blurb author misses the point of Disraeli’s trilogy: to relocate the fount of Christianity in Jerusalem rather than Rome. Disraeli seems to have reconciled his Judaic ancestors with Christianity by finding heroism, honor, and direct communication with the Deity in the Middle East. What this may hint about relations with his father is speculation on my part. He does mention “theocratic equality” in Tancred, which suggests that equality is defined in religious terms, not material ones (those of the working poor who rise in the class system are tamed through deference and self-control), and that an established religion is the major source of social solidarity. With respect to his relations with Judaism, his move was simply to stress the Judaic origins of Christianity, thus knocking out the antithesis between Good Christian and Evil Jew and making Jerusalem and environs the cradle of civilization. I don’t know if he was the first to do this, but it was certainly an obsessive theme. In Tancred, he complains bitterly about antisemitism, and lets none of his characters off the hook. It is unfortunate that in the process, he cleaved to contemporary notions of race and national character. It is also interesting that his orientalist hero, Tancred, Lord Montecute, is prevented at the last minute from marrying the gorgeous Jewess Eva. In the last sentence we discover that his parents have come to Jerusalem to get him away from all those too rich, brilliant, and irresistible Jews. 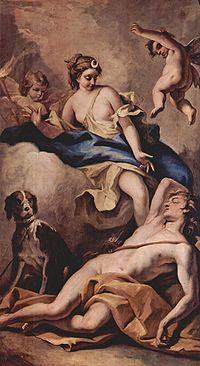 There is also a hint that momma’s puritanism may have driven Tancred to excessive religiosity and the pilgrimage to Jerusalem/Syria, where any sensitive, shy fellow would have gone off the deep end, faced with all that glamor. As for Sidonia, a character sometimes identified with a Rothschild or even with Disraeli himself, Sidonia is wealthy beyond the dreams of avarice, and the model man of the world, brilliant and a linguist, but he lacks a heart: Sidonia is incapable of emotional attachments–he is a rootless cosmopolitan, the very embodiment of THE MONEY POWER, as drawn by the would-be aristocratic anticapitalist, Benjamin Disraeli. Reposting this because of the Royal Wedding this week. The blog is relevant because the old deference was supposed to give way to self-reliance and excellent public education in the U.S. I am wondering whether the celebrity culture is not reactionary and an obstacle to a functioning democracy based on neither hero-worship nor state worship. Or should I be drawing distinctions between British royals and Hollywood movie stars, who come from the People? 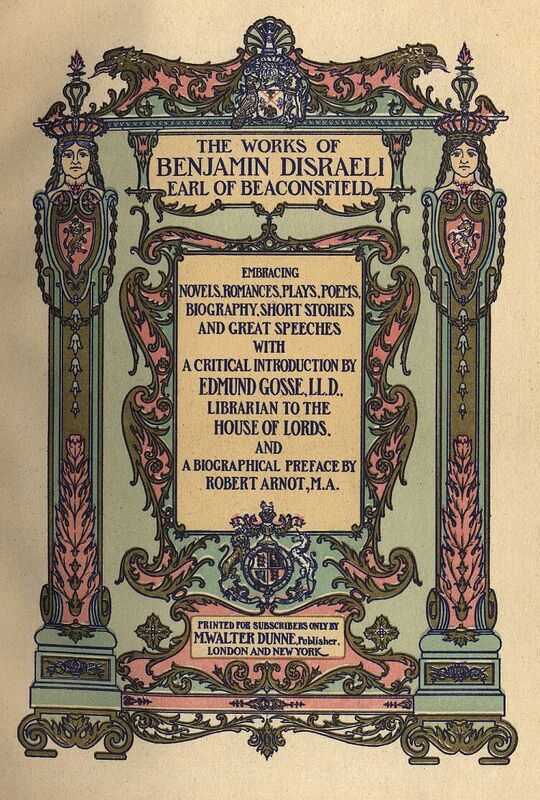 I spent much of this week reading Benjamin Disraeli’s last published novel, Endymion (1880), which I found generally engrossing and possibly a displaced memoir of his own rise to power. Several recent events prompt this particular blog: 1. a Pajamas Media essay today (March 24, 2011) by Rick Moran complaining about the massive attention paid to the glitzy and vulgar upcoming royal wedding in the U.K., and 2. My surprise that Disraeli’s novels are not in the British literary canon, though his large body of fiction, all dealing with thinly veiled political prime movers and tangential personalities in the world he knew so intimately, is a comprehensive social history of the British aristocracy as it dealt with its gradual displacement by the new “middle class” created by the Industrial Revolution. But more, Disraeli’s novels, devoted as they are to the masculinized intelligence of the British female aristocracy– the powers behind every nobleman and every move up the social ladder for parvenus such as himself– are feasts for fashionistas, gourmands, the horsy set, and admirers of statuesque pre-Raphaelite women with their cascades of hair and enormous long-lashed colored eyes. Disraeli’s women, so au courant in international and national politics, languages, and the arts, and so astute in the management of their noble spouses, are almost surely men to whom Disraeli was attracted. 1. The landed class of Victorian England maintained its cohesiveness. Aristocratic Whigs and Tories socialized together through all the turmoil: the Reform Bill, the Corn Laws agitation, the Chartists, the revolutions in Europe (1848), the development of a national railroad system. It was clear that they had a common enemy: the new industrial working class and the rising industrialists, all of whom looked back to the puritans of the English Civil War and the poet John Milton. The answer to this challenge from below was moderation, continued paternalism, and an alliance with bankers. The “Neuchatel” family (modeled perhaps on the Rothschilds, though they are definitely not Jewish) are hand in glove with the aristocracy and quickly learn to share their finely wrought tastes and manners. 2. It is almost overwhelming to contrast the paradisaical world inhabited by Endymion and Myra with the description of the working classes of Manchester in 1844 as rendered famously by Friedrich Engels. The English aristocracy, however apparently engrossed in luxury and frivolity, was faithful to its tradition of paternalism and the providing of spectacle to the lower orders (their tenant farmers, but also small traders and artisans). But among themselves, their young were educated from early childhood on in languages, and learned that the path to glory and the maintenance of class position lay in the mixing with powerful visitors and each other. No frivolity in their table talk; rather it was crucial to read “character” early on, for in Disraeli’s view, it was the will to power by exceptional individuals that caused history (also “race”), and the psychological reading of (highly placed and informed) men and women was their most valuable tool in the race of life. 5. I think that the exclusion of Disraeli from the literary canon is deliberate. He may have been an insider, but he was enough of the outsider to expose the foolishness of the English aristocracy and all other reactionary medievalists. When he isn’t fantasizing about matches made in heaven, he has a sharp tongue and a sense of the absurd that is unsurpassed in more famously comic authors.